By Sean Runnette (narrator) and Maxwell. John C.
Dimensions 0.50 by 6.50 by 6.50 in. Great leadership is built on great relationships! Winning in every area of life comes from winning with people. 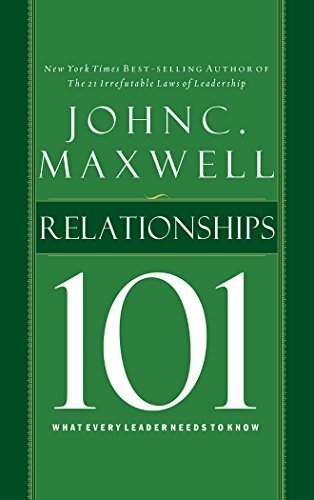 Improve your leadership and life with Relationships 101! About: Great leadership is built on great relationships!